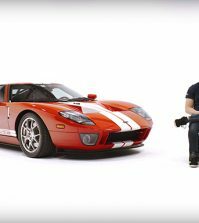 Today Autoweek magazine is out with a report “confirming” the return of the Ford GT, as well as a full factory-backed effort at Le Mans. 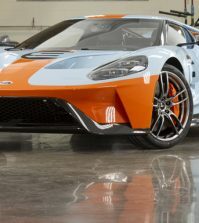 Autoweek claims that sources within the program have confirmed that the new car will indeed debut at the 2015 North American International Auto Show, with an announcement of a race program to come sometime soon thereafter. Multimatic Motorsports, longtime Ford collaborators based outside of Toronto, is supposedly tasked with the construction of the race car and Chip Ganassi Racing, current partners with Ford in their Daytona Prototype effort, are said to be taking the wheel for a full Tudor United Sports Car season as well as the 2016 race at Le Mans. 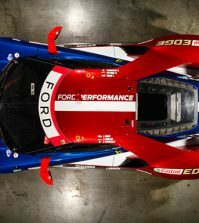 The CGR information would seem to have some basis given that just yesterday Ford Ecoboost replaced TelMex as the primary sponsor for 2015 on the CGR Daytona Prototype entry. 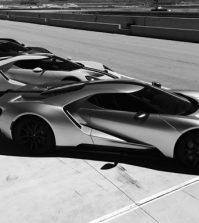 A 2015 Daytona Prototype season backed by Ford makes for an obvious prologue to a fully loaded Ford GT return to Le Mans in 2016. It is said that veteran racer and Le Mans Champion Scott Pruett will be behind the wheel along with newly minted CGR driver Joey Hand. Who might fill out the purported second-car lineup went unsaid. Whether Autoweek’s sources are correct remains to be seen, but thankfully we won’t have to wait too much longer now to find out whether they are right. You can read the full Autoweek piece HERE.